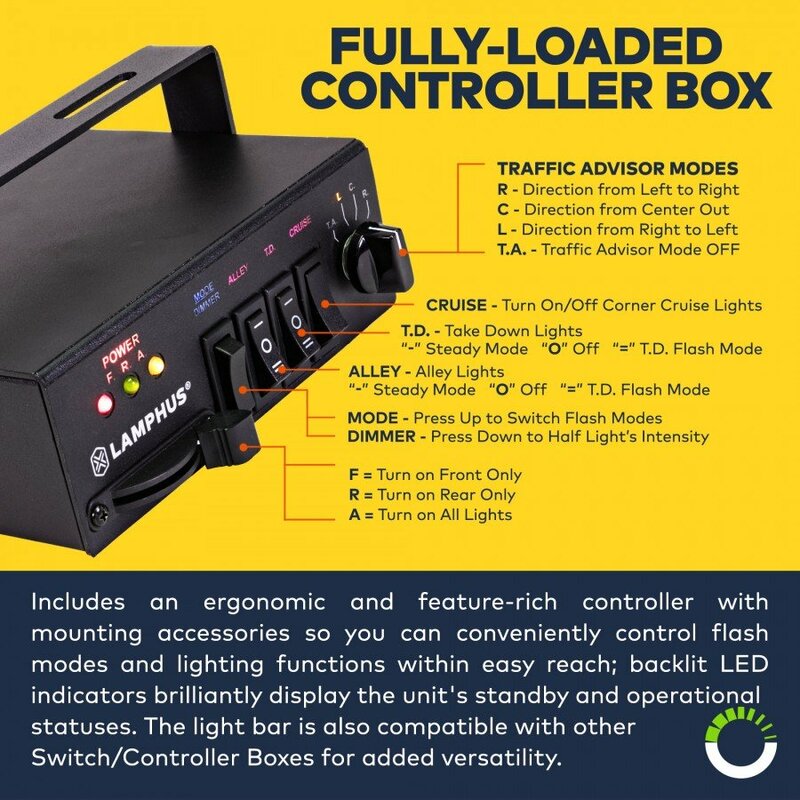 Ships today if ordered in the next 11 hours and 47 minutes! 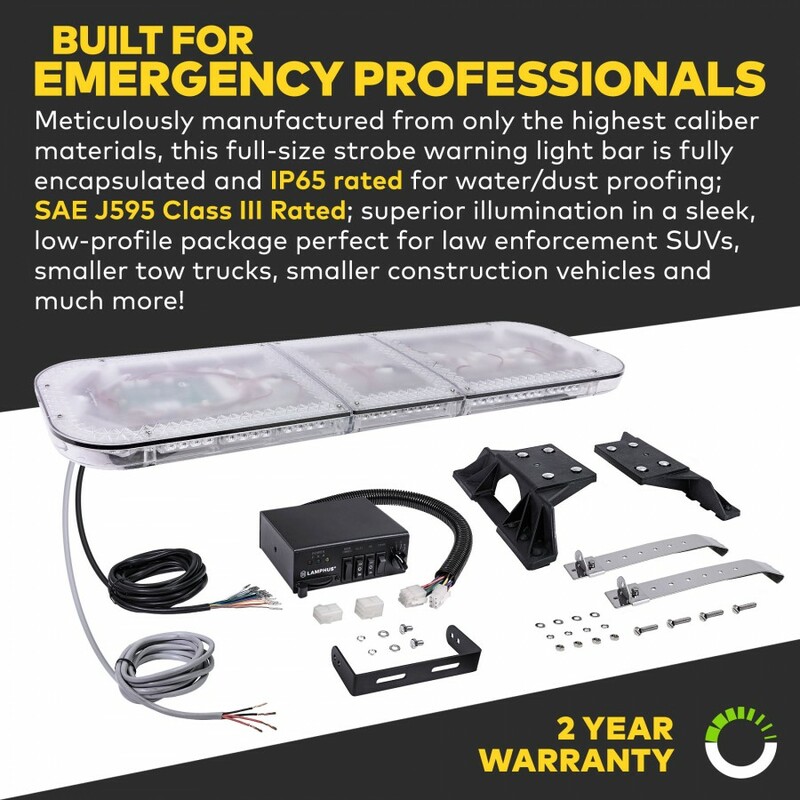 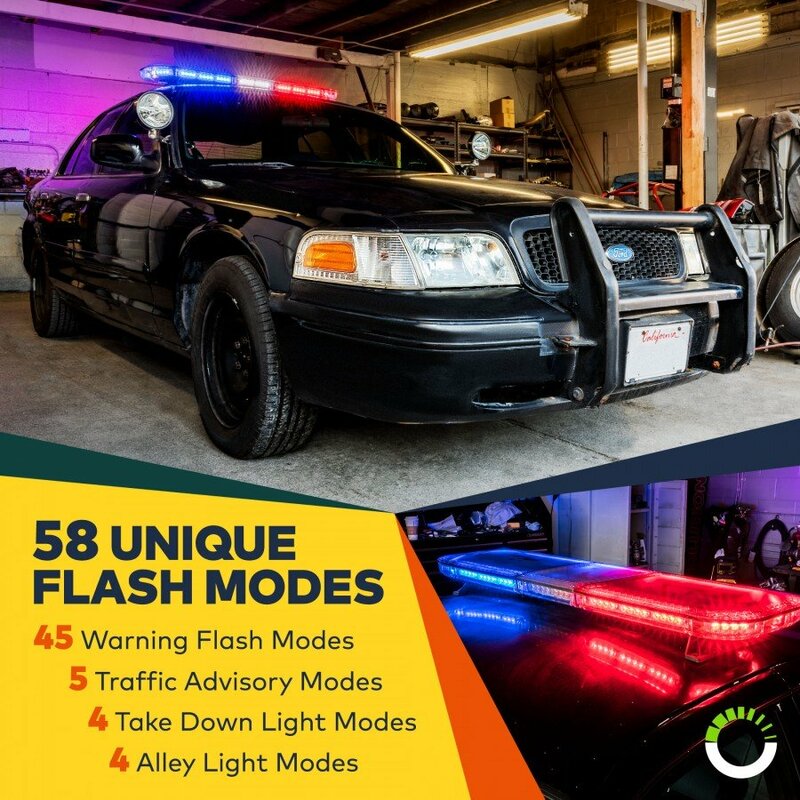 Police officers, firefighters, and other emergency professionals will always have the right flash modes for the right scenario with our full-size 47" LED light bar at their disposal: Select from 45 Strobe Flash modes, 5 Traffic Advisory modes, 4 Take-Down modes, and 4 Alley Light modes. 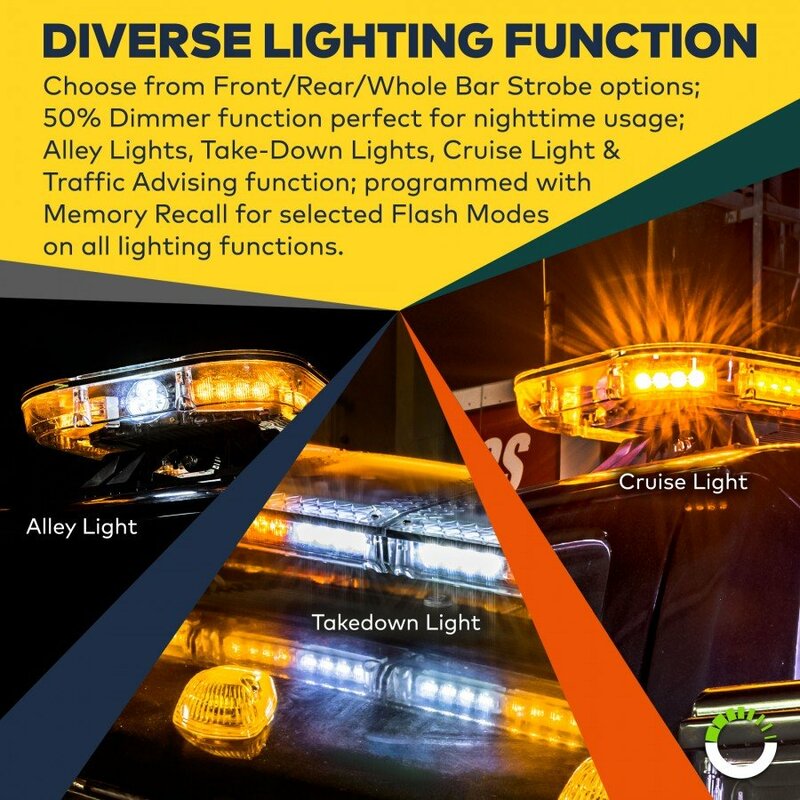 In addition, convenient features like a 50% Dimmer function and Memory Recall complete the package. We even offer the option to customize the color of the light bar's top cover to meet the regulations of your specific application. 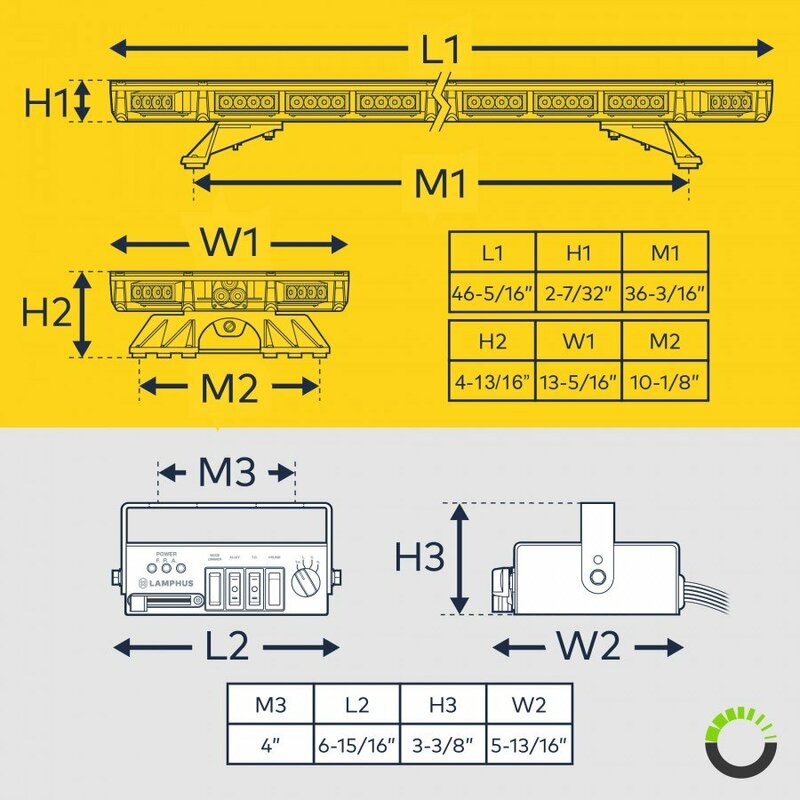 This full-size 47" LED light bar comes fully-loaded with a user-friendly controller box with mounting accessories, placing convenient control over all the flash modes and lighting functions. 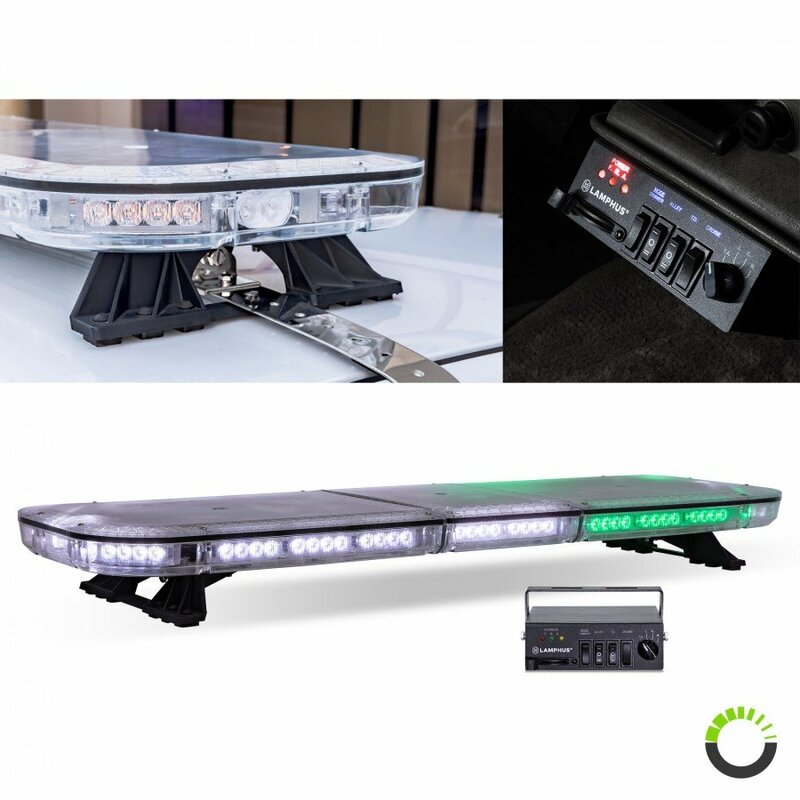 Handy backlit LED indicators show standby and operational statuses so you know exactly which function is actively engaged. You can even use your own switch/controller box with this light bar for maximum versatility! 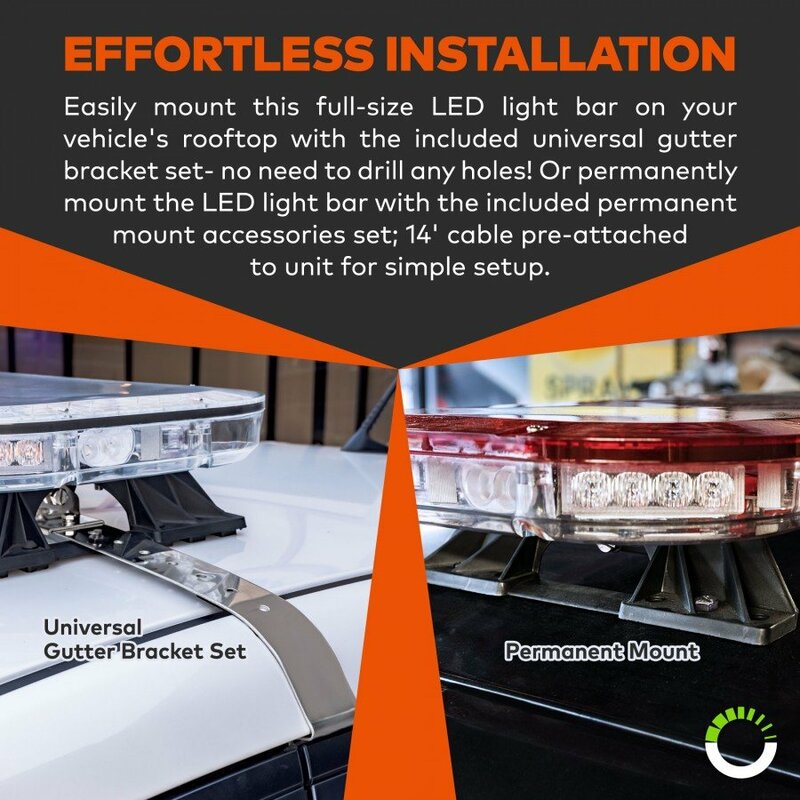 Installing our light bar is easy: use the included gutter brackets to securely mount the unit on the rooftop without having to drill holes in the bodywork. If you desire a permanent setup, use the permanent mounting accessories to affix the light bar to your rooftop. SolarBlast 47" 98W Full-Size Light Bar + Controller"
Love the light bar very bright, The customer service was outstanding and the question i asked they took there time explaining the answers wasn't rushed.